This Guy Is Still a Priest? 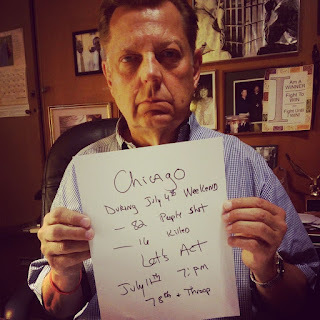 On Wednesday, April 27, 2011, the homepage of the website of the Archdiocese of Chicago released a statement from Cardinal Francis George in the form of a letter, temporarily suspending Father Pfleger from administering any of the sacraments (save for the administration of the Sacrament of Penance in an emergency, which even laicized or excommunicated priests may do) and from his active ministry as pastor of St. Sabina's Parish. George had recently suggested that Pfleger take the position of president at Chicago's Leo Catholic High School, but Pfleger said he would consider leaving the Catholic Church if forced to leave his parish. Cardinal George replied, in part, "If that is truly your attitude, you have already left the Catholic Church." Cardinal George lifted the suspension on May 20, 2011. President Obama used a press conference with French President Francois Hollande to recall a moment he shared with the First Lady in France. 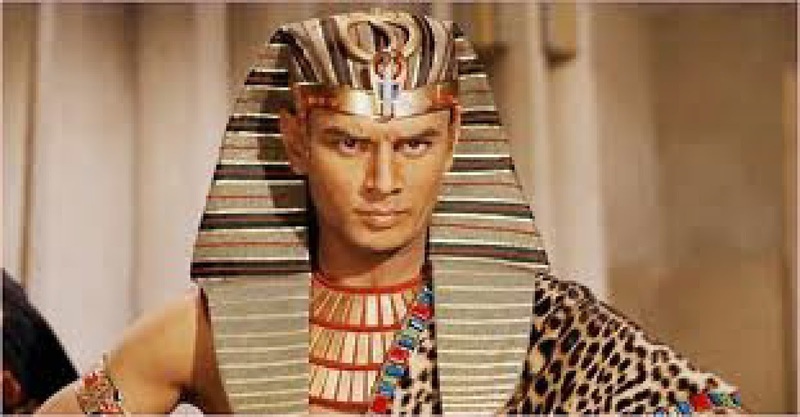 So the problem with radical Islam is that it messes up your happy memories of long ago? Geez...no wonder we're losing. I Do Not Feel Nostalgic! 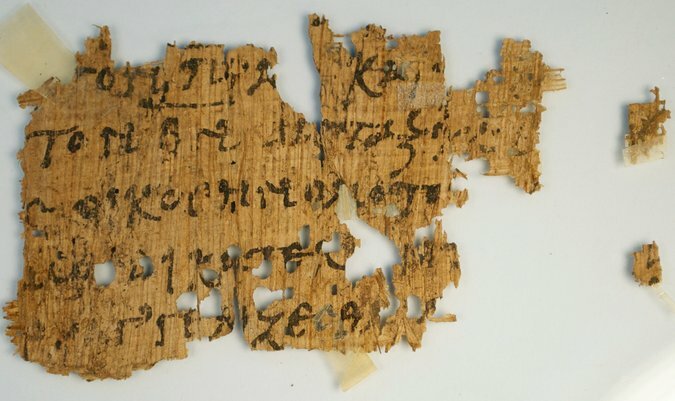 Last January, Geoffrey Smith, a scholar of early Christianity at the University of Texas, noticed something startling: an eBay listing for an ancient Greek papyrus fragment of the Gospel of John — with an opening bid of only $99. Dr. Smith contacted the seller and urged him to halt the online auction — apparently the first on eBay for a Greek New Testament papyrus, he and other scholars said — and let him study the fragment. 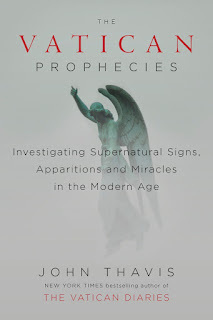 The seller agreed, and now, on Saturday, Mr. Smith will present his research at the annual conference of the Society of Biblical Scholars in Atlanta. There's a market for this? Many scholars refuse to study manuscripts that may have left their country of origin illegally, and some refuse to study material in private collections, on the grounds it helps drive the market. That market is certainly robust. A third-century fragment of Romans on vellum, Dr. Jones noted, sold last year at Sotheby’s for nearly $500,000. The seller of the John papyrus, meanwhile, was “harassed by collectors offering him absurd amounts of money,” Dr. Smith said, declining to cite a specific figure. 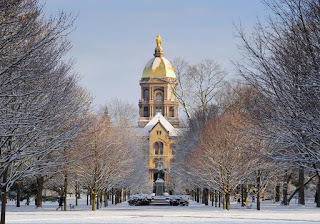 NOTRE DAME, IN — We are obliged to inform our subscribers that Rev. 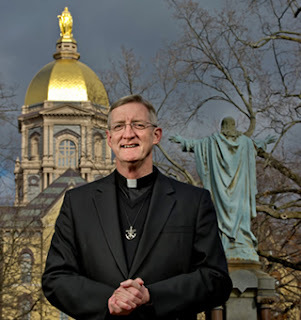 Wilson D. Miscamble, C.S.C., is no longer associated with the website NDCatholic.com, which we established to house Father's recommendations of Notre Dame faculty whom students could count on for an authentic Catholic education. 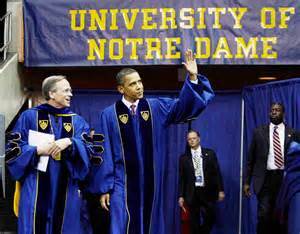 The radical reduction of Catholic presence on the Notre Dame faculty makes such information essential. 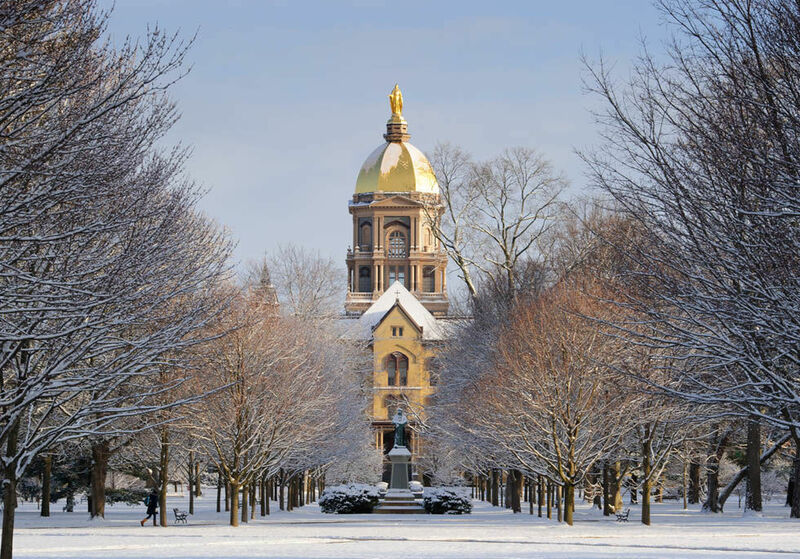 Nevertheless, two days after the inauguration of the website Father sent us this message: "I regret that I can say only that I am required to end my involvement with the NDCatholic site and am not at liberty to say why." 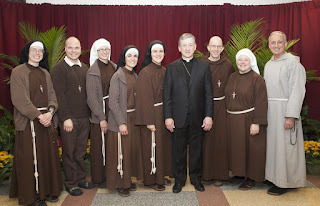 Father Wilson D. Miscamble, C.S.C., prepared the instructive recommendations of faculty and courses that appear on this website to assist students in making the choices necessary to insure that they receive an authentic Catholic education. 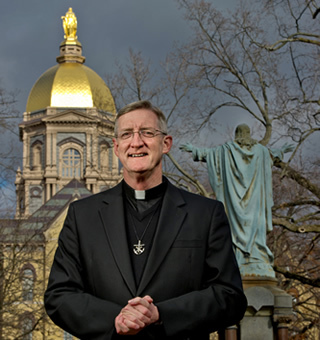 As a long time Notre Dame professor and a nationally recognized historian who has served as chairman of the History Department and rector of Moreau Seminary, Father Miscamble was admirably suited to this task. So why did Father Miscamble give for his disassociation? Father responded: "Dear Bill, I regret that I can say only that I am required to end my involvement with the NDCatholic site and am not at liberty to say why. UND administrators and CSC superiors determined that Fr. 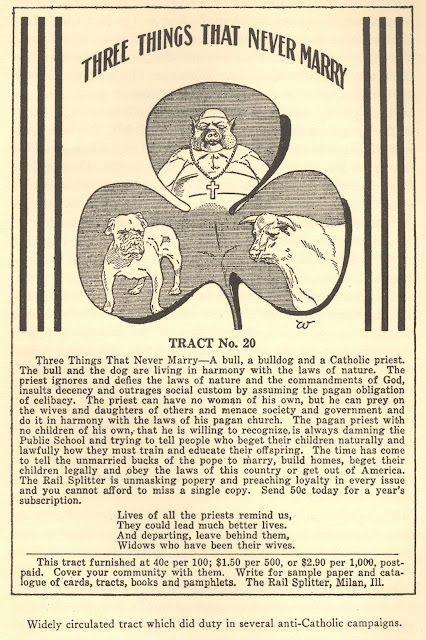 Miscamble was engendering dissension within the UND and CSC communities by agitating for a more demonstrably Catholic UND. 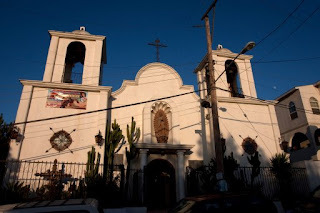 Remember the story about the priest killed in Mexico (see the post, "Will The Last Sane Person to Leave Mexico Please Turn Off the Lights?" ? This is old news in Mexico. Here's the video story of Blessed Miguel Pro, who is honored today in the Church calendar. I don't know...they look OK to me. A severed head, a wolf....can't get a better story. The Registry of Motor Vehicles has allowed a Massachusetts woman to wear a spaghetti strainer on her head in her driving licence picture as an expression of her “Pastafarian” religion. 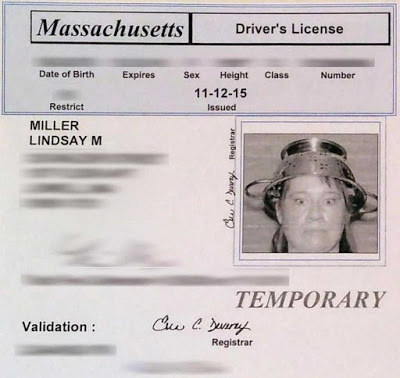 Lindsay Miller fought the RMV to wear the metal headgear as a sign of her religion. The RMV does not allow drivers to wear hats in their pictures, unless it is for a medical or religious purpose. 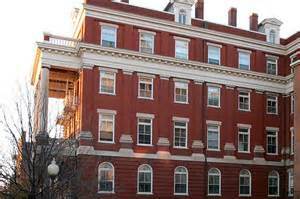 Miller won her appeal with the RMV thanks to the help of an attorney associated with the American Humanist Association. As a member of the Church of the Flying Spaghetti Monster, I feel delighted that my Pastafarianism has been respected by the Massachusetts RMV,” Miller said. “While I don’t think the government can involve itself in matters of religion, I do hope this decision encourages my fellow Pastafarian atheists to come out and express themselves as I have.” When Miller initially applied for her driving licence, she was denied the ability to wear the colander. I had no idea. Turns out the place was called St. Thomas Manor which sounds like an amzing place to visit. During the years of slavery and after the American Civil War, when most southern governments classified people as only black or white in a binary system related to the racial caste of slavery, St. Ignatius was among the Catholic parishes that continued to record their Native congregational members as Indian, regardless of whether they were of mixed race. 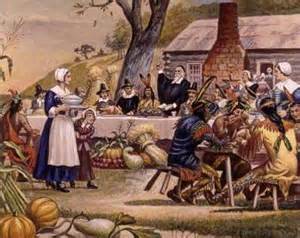 In colonial and United States records, by contrast, the tribal identities of some Native Americans were lost when they were classified by outsiders as free people of color, "colored," or "white," regardless of how they identified ethnically. Research in Catholic records has helped some tribes document their continuous cultural history and identification as Native American, and to gain state and federal recognition as tribes since the late 20th century. Turns out they have something in common. Not LITERALLY. 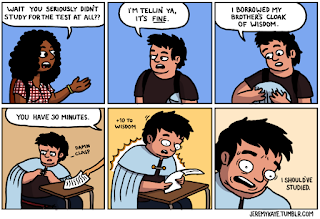 The Pope was making a speech about it. As one might expect, Pope Benedict, who was often called “the pope of reason,” was much more circumspect on the [Shroud, than Pope John Paul II.] He, too, was interested in the Shroud and had stood before it as a cardinal. As pope he ordered the extraordinary exhibition of the Shroud in 2010. 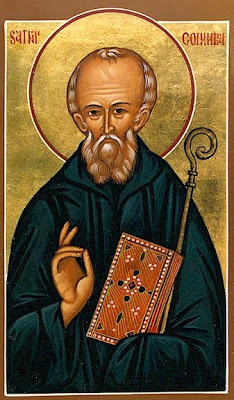 Benedict himself flew to Turin to venerate the cloth and gave a speech in which he described the Shroud as an “icon,” a term that disappointed some of its devotees. In the code language of the Shroud, “icon” denotes just a holy image, while “relic” is the genuine object. But this was an icon with a capital “I” — literally, in the official text of the papal speech — which signaled some support for authenticity. 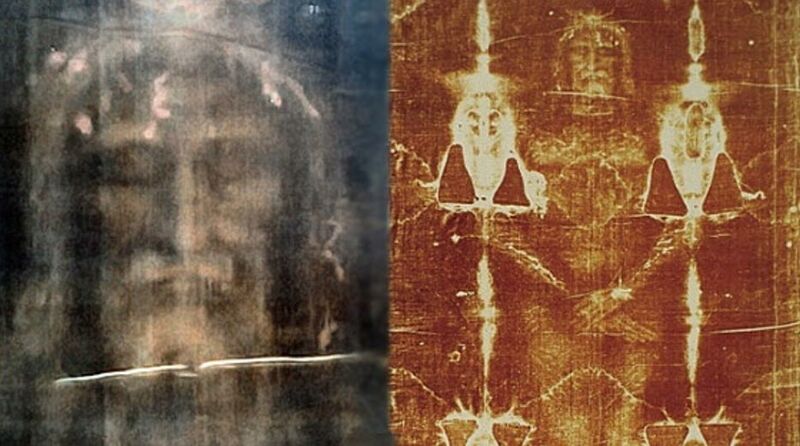 Benedict added that the Shroud was “a winding-sheet that was wrapped round the body of a man who was crucified, corresponding in every way to what the Gospels tell us of Jesus.” That appeared to reject out of hand the theory that it was a medieval artistic creation. Will The Last Sane Person to Leave Mexico Please Turn Off the Lights? 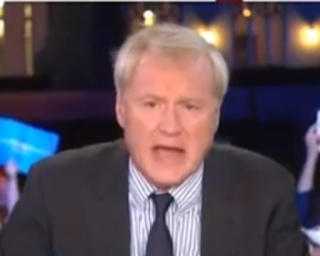 CHRIS MATTHEWS: There is 1.75 billion Islamic people in the world. There are Islamic people who are as far from Arab as you and I are far from Arab. They are not Arabs: they happen to be Muslims. They live in India. They live in Pakistan. They live in Indonesia. 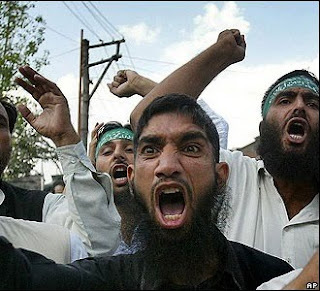 Why do we want to declare war on them by calling our terrorist opponents Islamic? EUGENE ROBINSON: Well we don't. Or we shouldn't. In fact, George W. Bush did not. Right after 9/11, George W. Bush, in a moment that actually filled me with pride, George W. Bush came right out and said we are not at war with Islam. We are at war with this crazy al Qaeda group. We're going to get them, and we're going to get them good. But we are not at war with one of the world's great religions. 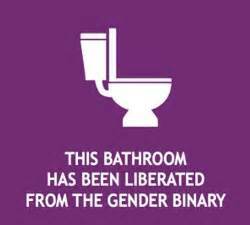 And it is a ridiculous thing. I sincerely hope that none of these characters, if they were to become president, would repeat such a thing. Because it is a sentiment that no President of the United States who is responsibly discharging his duties would ever utter. MATTHEWS: I don't think Franklin Roosevelt, as angry as he was at Mussolini, never declared war on the Catholics. Anyway, that would have been a stupid thing to say. Mussolini was a fascist. He founded a POLITICAL party called the National Fascist Party. The National Fascist Party was rooted in Italian Nationalism and the desire to restore and expand Italian territory, which Italian Fascists deemed necessary for a nation to assert its superiority and strength and to avoid succumbing to decay. Italian Fascists claimed that modern Italy is the heir to ancient Rome and its legacy, and historically supported the creation of an Italian Empire to provide spazio vitale ("living space") for colonization by Italian settlers and to establish control over the Mediterranean Sea. Ancient Rome....as in the reign of the Caesars. Not very Catholic, that. 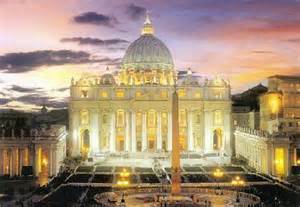 And Julius Caesar died in 44 B.C., so the Catholic Church had not even been founded yet. You can't spell ISIS without "Islamic". 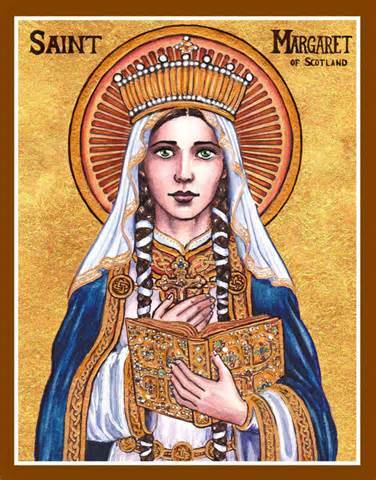 Saint Margaret (she was born in Hungary) was queen consort to Malcolm the Third of Scotland. 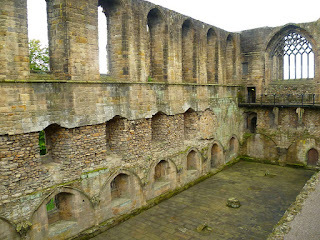 She had 8 children - 3 of the boys eventually were named King of Scotland and one of her daughters was queen consort to England..
1) She established a ferry to carry pilgrims across the Firth of Forth to Dunfermline Abbey. She was buried there in 1093. 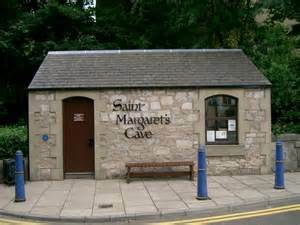 2) Near the ferry dock there was a cave where St. Margaret used to seek solitude for prayer. The cave is still there, and you can visit it...but it's now under a parking lot. From a small building in the corner of the car park, 84 steps lead down to a tunnel, echoing with Gregorian chants. In the sides of the tunnel are displays giving the history of the cave which turns out to be a single chamber 10 feet long by 8 feet wide and 8 feet high. There are two raised seats on either site and a well at the far end which was once used as drinking water, now covered. To complete the illusion there is a statue of Queen Margaret. Played on a bagpipe. In the International Space Station. By a Korean guy raised in England. Named Kjell Lindgren. 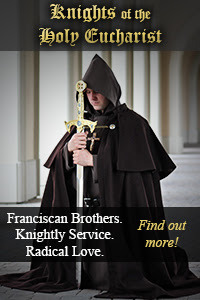 The Knights of the Holy Eucharist are single Catholic men seeking to follow Christ more closely through a life lived in community and dedicated to the service of God. The primary focus of this service is the fostering of reverent devotion to Our Lord in the Most Blessed Sacrament. Blessed John Paul II states that the Church “draws her life from the Eucharist”. Wish to break away from the noise of the world to discern your call? Join our community of brothers for a TOUR OF DUTY at the Shrine of the Most Blessed Sacrament. Partake in our life of service and adoration. It's a unique opportunity to "pilgrim" with us at the awesome Shrine of the Most Blessed Sacrament. Be a single Catholic in good standing. Have good physical and mental stability. Be a high school graduate 18-30 years old. Have the ability to perform strenuous manual labor. Have a desire to serve and not to be served. Men between the ages of 18 and 30 interested in our community are welcome to visit for up to two weeks at no charge. 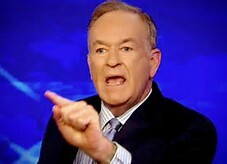 Were the lungs the seat of wisdom, Fox News host Bill O’Reilly would be wise, but they are not and he is not. "Chopped" apparently is the name of a cooking show. Sister Alicia Torres became the "Chopped" champion on the Food Network’s reality TV cooking show, winning $10,000 for Mission of Our Lady of the Angels, which feeds its Humboldt Park neighbors with frequent home-cooked meals. “The Lord gave me this talent," Torres told the judges, who ribbed her for harboring some secret culinary training. "I believe the kitchen is my canvas where I get to express myself creatively." Torres, 30, was one of four chefs cooking with some version of conventional Thanksgiving ingredients -- turkey, green beans, potatoes and cranberries -- on the special volunteer edition of the show that aired Monday. Bonnie Kepplinger, 74, a volunteer for The Crib, a homeless shelter for LGBT teenagers, survived one round but lost the entree portion (ed note: SNORT!). In the appetizer round, Torres transformed leftovers into Mexican-style quesadillas. Kepplinger made deep-fried turkey croquettes and potato balls with a green bean salad and cranberry dressing. Torres made a Mediterranean-style entree with curry turkey, a sweet potato cranberry hash and a dipping sauce with goat cheese and green beans. Kepplinger braised turkey, green beans and created a tart cranberry salad but failed to get the potatoes on the plate. “I think time did get the best of me, but I also think my muse just conked out,” Kepplinger said on the show. 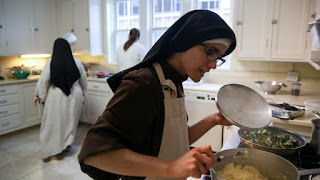 In an interview Monday, Kepplinger said she was so impressed with Torres that she expects the “cooking nun” to be a regular on TV soon. Torres helped found the Franciscans of the Eucharist of Chicago on the city's West Side and recently professed vows. 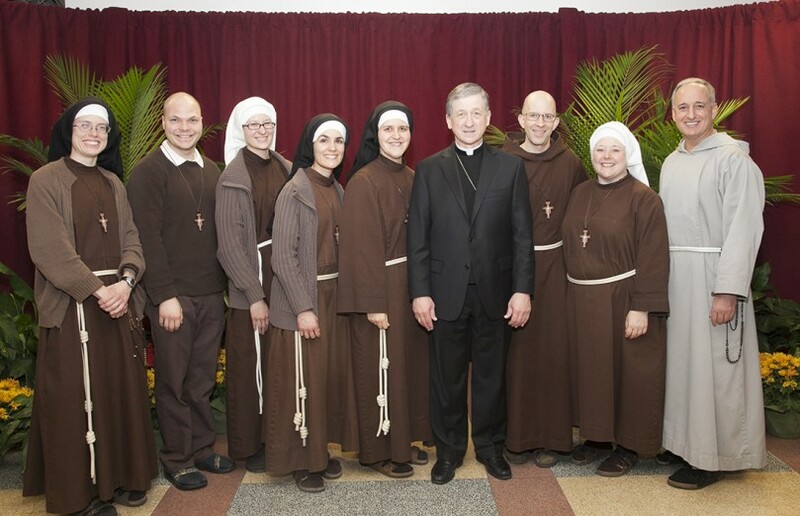 The new Franciscan community is devoted to adoration of the Blessed Sacrament, evangelization and serving Chicago's poor. 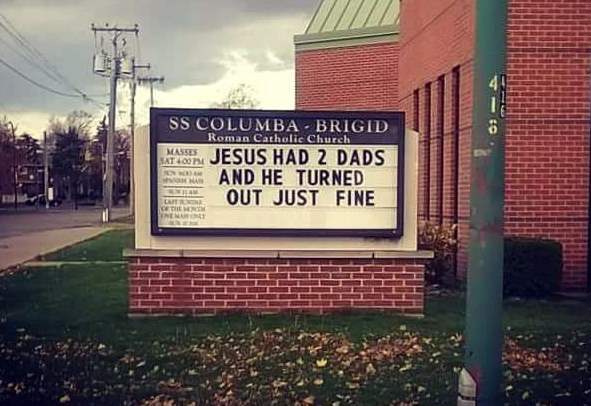 Yesterday a friend sent me a photo of the sign at St. Columba-Brigid R. C. Church in Buffalo. 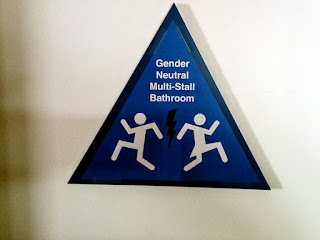 The sign was so scandalous I had a hard time believing it was not photo-shopped. This morning I drove to the church to see for myself. With great sadness I report it is true. 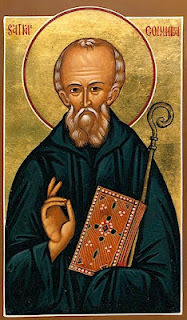 The Seven Gifts of the Holy Ghost include the Gift of Fear of the Lord, which incites our will to a filial respect toward God; and the Gift of Piety, which incites in us a filial affection for God and the things that pertain to God. Those responsible for this sign display actions bereft of the Holy Ghost. This is the depth to which many in our Holy Church have fallen as a result of the unprecedented crisis of Faith over the past 50 years.St. Columba-Brigid R. C. Church is in the diocese of Buffalo NY. 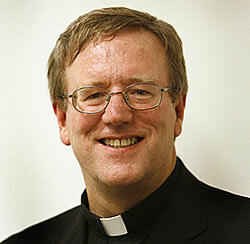 The the local ordinary is Bishop Richard Joseph Malone. Personally, I think it's a commentary on the state of the Church in Ireland.